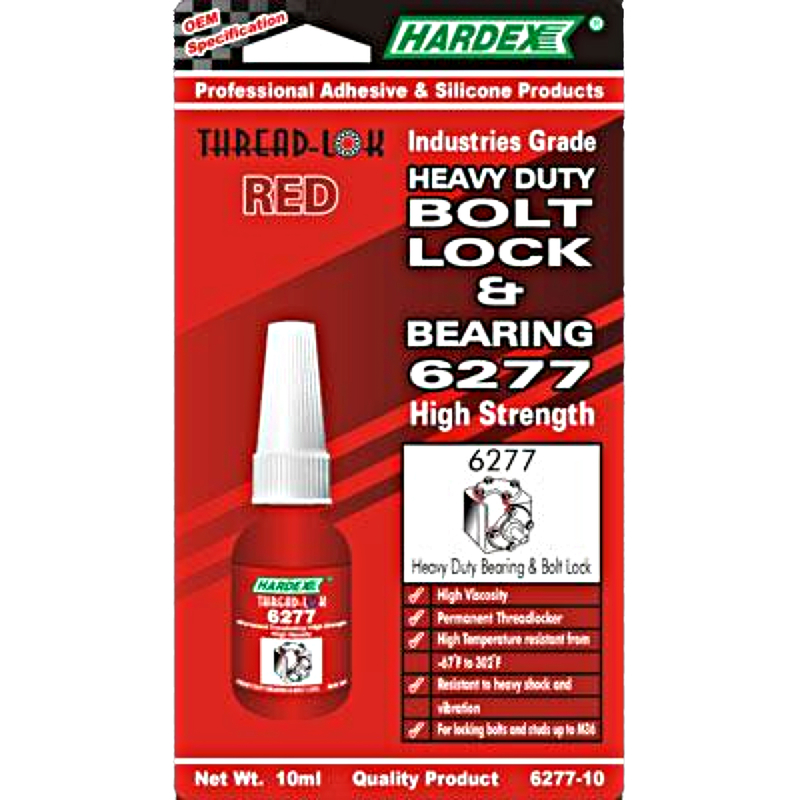 Threadlock 6277 permanent anaerobic threadlocker is a red colored coded high strength and high viscosity to use on coarse threaded fasteners providing permanent assembly. The viscosity of 5,000 – 6,000 cps allows gap filing up to 0.40mm. Heat may be required to disassemble. Ideal application for loose fitting bearing shafts, flanges, piston rods, big plant furnace studs, locking bolts and studs up to M36.